Members of Colorado Parks and Wildlife recently removed several mountain lions, not the one pictured, from the Western Slope. 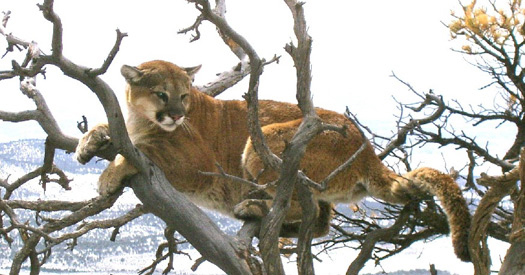 GLENWOOD SPRINGS — After receiving numerous reports of aggressive mountain lion behavior in West Glenwood last month, and despite outrage expressed by some concerned residents, Colorado Parks and Wildlife has rid the area of what officials considered to be its most dangerous predators. “When we hear of those lions and that kind of behavior, we remove them for human health and safety,” Will said. When the Post Independent reported on the West Glenwood lions and CPW’s plans, dozens of readers commented that they considered the methods to be too extreme. “Please do everything you can to not euthanize them! This needs to be the last resort,” Michelle McCurdy commented on the Jan. 17 article. More information on living with mountain lions can be found at goo.gl/6QQcNr.